This was taken on 8/13/14 after a workout class. 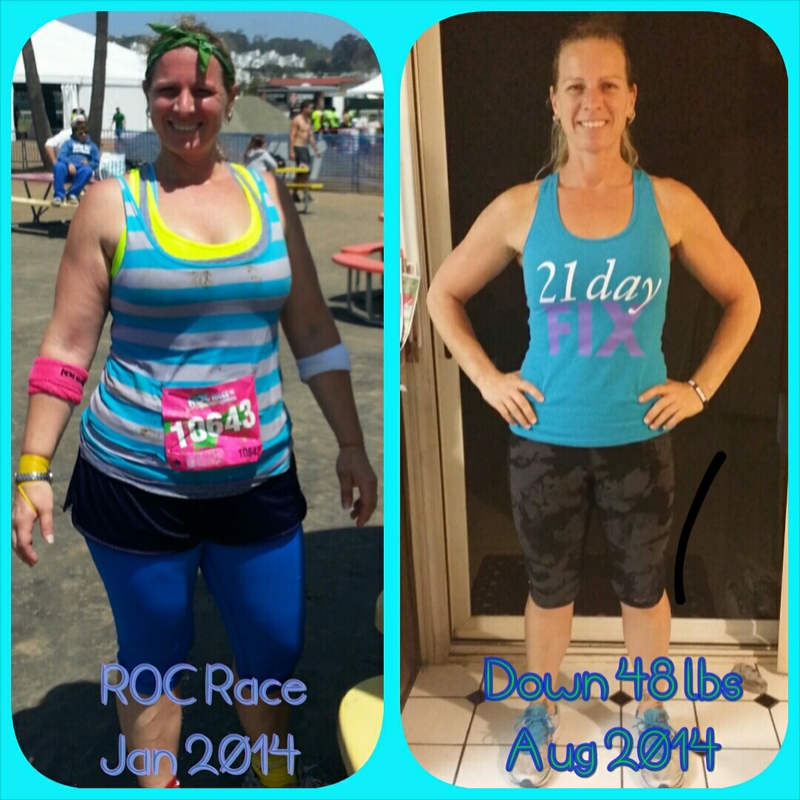 This after starting the 21 Day Fix on March 2,2014. I did 2 full rounds of that back to back before I started to change it up. I drink Shakeology every day, and I plan my meals for better success. I prepare and pre pack and keep healthy food easily accessible for when I am running out the door in the morning with the kids in tow. I am very busy, and YES, I had time..because, I MADE THE TIME! It is important. I am the one here to take care of and help my kids daily. What would happen if I became ill or couldn’t be here for them? The cost of the challenge pack was cheaper than any medical bills I would have incurred due to poor health or the medication I was about to need due to high cholesterol! I stopped that in it’s tracks..I reduced me levels by eating right and taking care of ME!